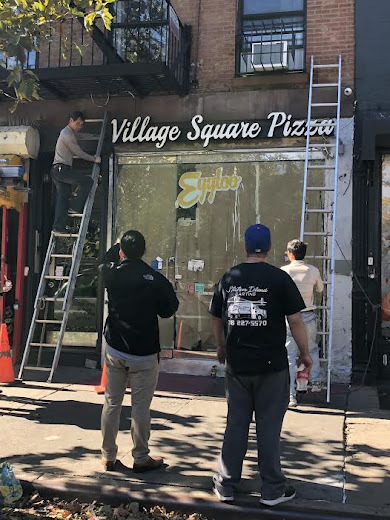 The signage is going up for the new tenant at 147 Avenue A — Village Square Pizza. This is at the former Eggloo spot between Ninth Street and 10th Street. • An open (typically four-sided) area surrounded by buildings in a town, village or city. • A person who is conventional and old-fashioned.